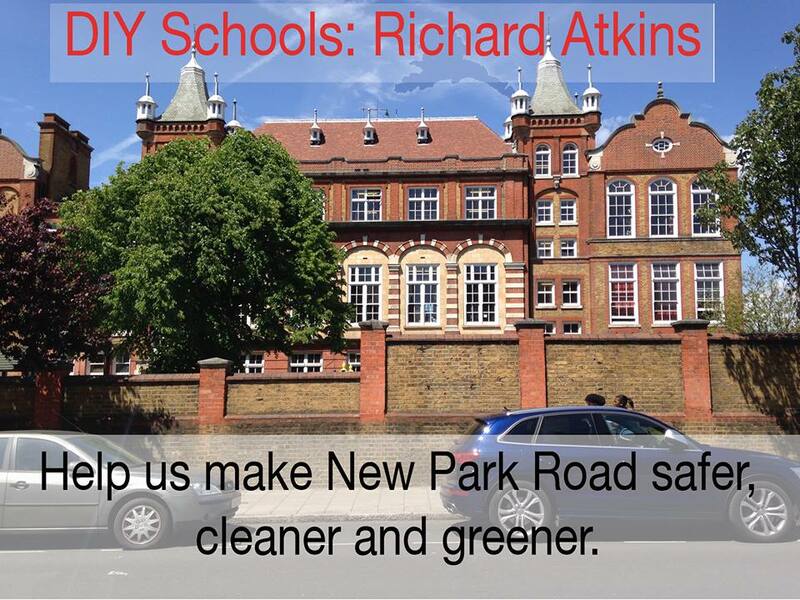 Following a number of accidents on New Park Road, parents of pupils at Richard Atkins Primary School wrote to councillors to ask for support for road safety measures. An exciting project is now coming to New Park Road. DIY Schools will investigate speed, congestion, air quality and pedestrian safety outside the school. Together with traffic calming experts, local residents are being invited to “co-design” temporary interventions to create a safer, cleaner, greener New Park Road around the school entrances. The project is for seven months and input from the community is needed throughout. People living in and moving through an area are experts in how it works and can tell us what the problems are and design the solutions. Sustrans is the leading sustainable transport charity working in partnership with the London Borough of Lambeth. The aim is to make streets and spaces better for people and easier for walking and cycling. A series of meetings at Richard Atkins School have been set up beginning with 3 July and 10 July at the end of the school day. A Facebook page for the project has been set up, or you can contact Phillippa at phillippa.banister@sustrans.org.uk or on WhatsApp on 07789 653888 or by phone on 020 7780 7205. This entry was posted in Blog and tagged Kingswood Road, Lyham Road, New Park Road, Richard Atkins Primary, road safety, roads by Martin Tiedemann. Bookmark the permalink.